If you have a friend or loved one who just got arrested call eBAIL at 702-462-9200. Our friendly staff will quickly locate them in any of the three jails in the Las Vegas, North Las Vegas or Henderson area. We will make you feel comfortable by explaining the process and answering all your questions. When it comes to professionalism and caring nobody can beat us. We have compassion for people and understand that bad things do happen to good people and when they do we are here to help. Call 702-462-9200 if you want to bail someone by phone right now or to have your questions answered. We answer our phones 24 hours, seven days a week. With that kind of service you can feel happy by having eBAIL on your side. If you want to bail someone online in 3 minutes or less just click on the link and you will be complete the process from any mobile or computer in less than a few minutes. 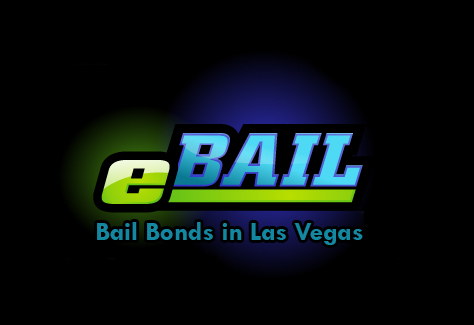 eBAIL is a professional Bail Bond Company in Las Vegas, servicing the Summerlin, Green Valley, Spring Valley, and North Las Vegas area. Since we offer Online Bail in 3 minutes or less you can help anybody in jail no matter where you live. We are licensed by the NV Department of Insurance and authorized to post bail at any court or jail in the greater Las Vegas area. eBAIL is also the only Bail Company in Las Vegas that is accredited by the Better Business Bureau. In your time of need for a Bail Bond in Las Vegas don’t gamble on a scary looking company in a dark downtown corner, visit our beautiful and comfortable office at 3100 E. Charleston Suite 108, right on the corner of Charleston and Mojave. You will be happy in choosing eBAIL as your Bail Bond Company, guaranteed!